Sleep in bed while traveling to Bicol? YES! I have been to Bicol once and I admit that it is a very long travel from Manila. Imagine, 10 to 12 hours sitting on a bus/van via land travel to Albay - it was totally tiring. But this doesn't stop me from visiting this amazing region of the Philippines and seeing its wonders. 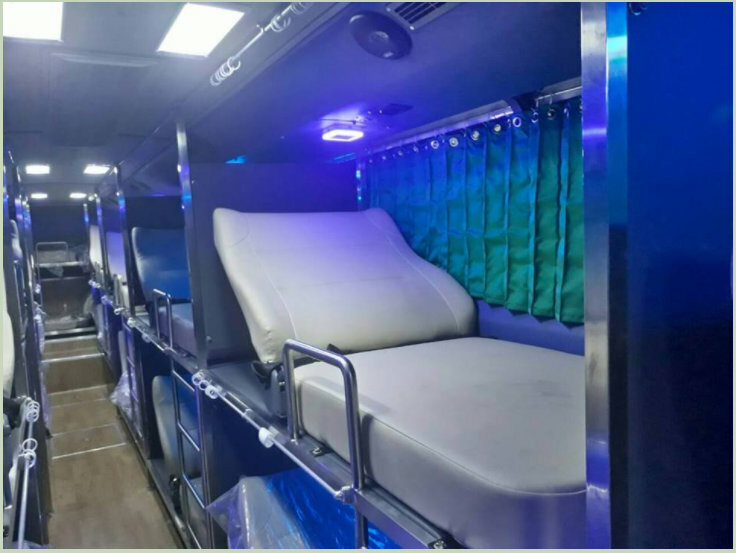 Good thing, that there are sleeper buses offered by Bicol Isarog Transport System Inc! You can take a ride of this lounge-like bus from EDSA Cubao to Naga City, and vice versa for only 1,350 pesos per person for a one-way ride. With having a huge traffic everywhere, we all want to be comfortable in every trip. Some transportation vehicle offers a karaoke to keep their passengers entertained while some offer a wifi. But still, some of us just want to sleep while having a trip. 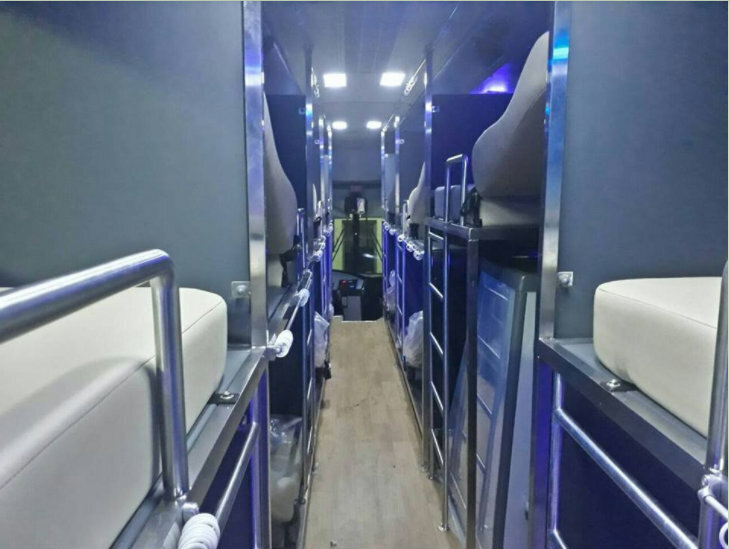 The said bus is traveling from Manila to Bicol allows you to sleep in large comfortable beds. You can definitely sleep in Manila and wake up in Bicol, a great option when traveling a long distance. 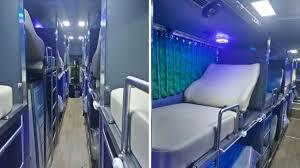 This bus is unique because instead of bus seats, the sleeper bus has “real” beds where you can sleep in the comfort of the bus just like traveling in a camper van. It has ample space beside you for your valuable things. This is a huge help so that you do not have to think about your things while you fall asleep. Booking is fast and easy. 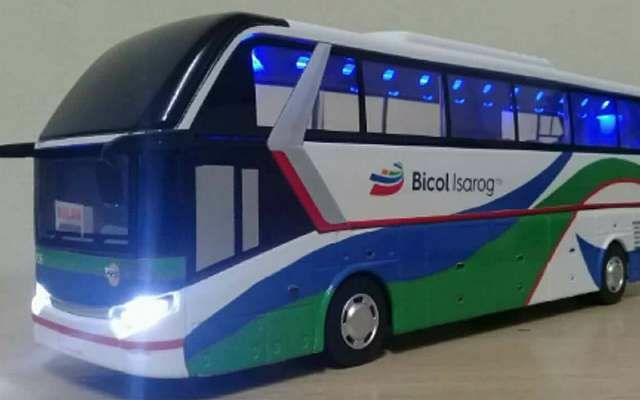 All you have to do is go to their official website, www.bicolisarog.com and choose your trip date, the quantity of ticket you are buying, and the bus option you want to try. Make sure to choose the “Sleeper Bus” option for this experience. The Ultimate Sleeper Bus has 18 couches or beds, each covered with curtains. The bus is also equipped with USB sockets for charging, comfort room and wifi available aboard. Bicol Isarog Transport System Inc. I am looking forward to personally experience this soon! Your thoughts on this? Share it below!